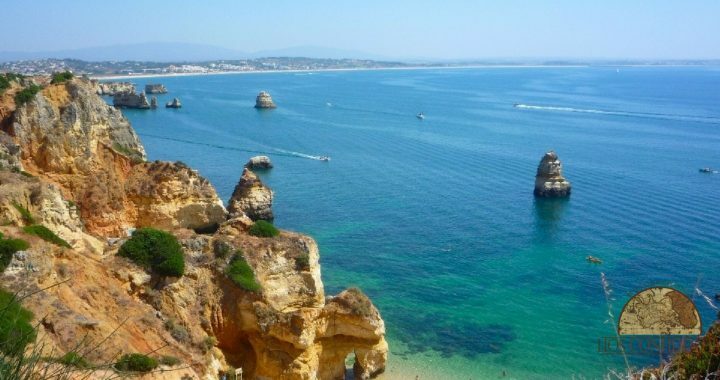 The Algarve: Proving To Be More Than "The Florida Of Europe"
“The southern edge of Portugal, called the Algarve, has long been known as the Florida of Europe: the continent’s warmest weather and mildest winters, an embarrassment of golf courses, beachfront condo high rises and all-inclusive resorts designed for EasyJetters’ weekend breaks. Even with the delectable oranges—nearly the size of my head and dripping with sweet juice—it wasn’t enough to sell me on the region when I visited several years ago. I mean, if New Yorkers want that kind of vacation, the Florida of North America (i.e., Florida) is much more accessible. I’m not sure who slapped this “Florida of Europe” tagline on the Algarve, but I’m guessing they never ventured beyond the heavily-touristed beaches of high season (and failed to recognize that The New York Times awarded the same title to Málaga, Spain, back in 2006). As for off-beach attractions, Abel’s roundup recommends hiking with a goatherd… sampling wine (or olive oil) at a local estate… and a visit to the picture-postcard fishing village of Tavira… certainly things I would love to try if I can extend my stay this coming July. If you’d love to explore the best of the Algarve but haven’t yet reserved your seat, it’s not too late to join us for our 2017 Live and Invest in Portugal Conference. This is your chance to come and see the Algarve for yourself and have the Live and Invest Overseas team of experts and expats share their insight and advice—and answer all your questions… face-to-face. Over two and a half days together, you can count on our team to deliver the straight goods. They’ll be there ready to answer questions you’ve already thought of… and to reveal and highlight more “ups, downs, and get-arounds” that will make your decision-making much easier. Save US$250 when you reserve your seat here (and use Coupon Code PORTCONFIDENTIAL to save an extra US$50). Posted in Live And Invest Overseas Confidential and tagged The Algarve, The Florida of Europe.